Another good portable project was the It All Comes Together Beret by Christianna Wincek (who I happen to have the good fortune to know.) I used the Live 2 Knit Joan in the Alchemy colorway. 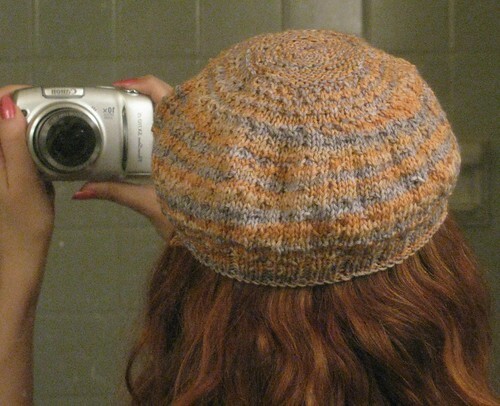 I have to say the yarn, even in a hat pattern really stripped beautifully. And the beret pattern was fun and disguised my failure to read directions (and, ahem, adjusting the sprinkle stitch a bit) very nicely. And I love the purled crown. 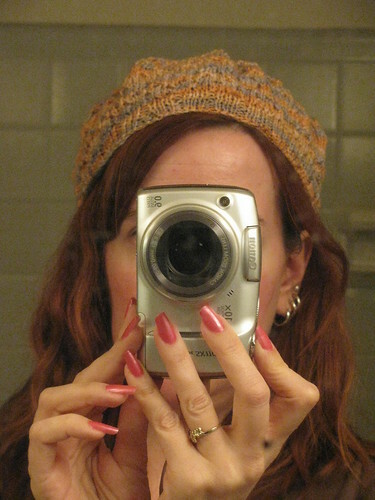 So, now you get the knitter-in-the-bathroom shots so I could show you the back in action.